Looking for the best hostels in Prague? There are plenty of Prague hostels ready to take your money, but not all of them are created equal. 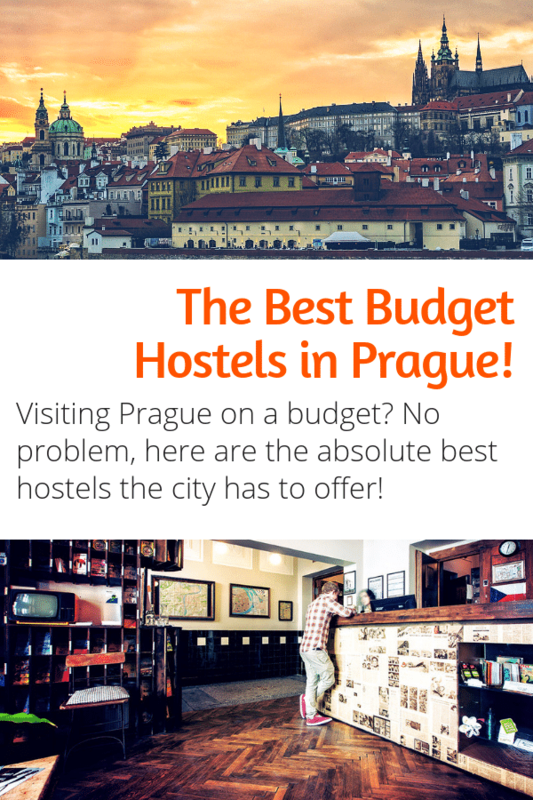 We’re here to help you pick the very best Prague hostel to make your trip to our favorite city even more memorable. 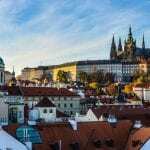 Prague is a prime destination for budget travelers and backpackers in Europe, and as such it plays host to a ton of various hostels and accommodations. So many, in fact, that it can be hard to pick one out of the big wide sea of choices. Never fear, we did the research for you, and picked out the very best hostels in Prague! We have spent a LOT of time in Prague, choosing to stay here for 12 months out of the last 36 months of travel. We’re kind of in love with the city, to be honest. During our time in Prague we visited (and stayed in) many hostels in order to pick the ones we thought were the best of the lot. Each of the the great hostels in Prague described below has its own unique way of accommodating backpackers and budget travelers of all age ranges. They all have budget friendly dorm options, are all clean and tidy, have free wi-fi, and are run with passion and care. Some of these hostels cater more to the party scene, while others are more relaxed and chilled out. Out of all the Prague hostels we have personally visited and vetted we picked what we believe are the cream of the crop. But ultimately the choice is yours. No matter their differences all of the below are great choices for anyone looking for an awesome hostel in Prague after a long day of sightseeing. Once you have explored for a few days take one of these amazing day trips from Prague! A great staff is part of what makes Czech Inn one of the best hostels in Prague. Bathrooms: Dorms and twin rooms have shared or en-suite bathrooms. All other privates have en-suite bathrooms. Activities: movie nights, pub crawls, quiz nights, and sports screenings. Communal Kitchen: All premium dorms and apartments have a kitchen. As far as Prague hostels go, it’s hard to overlook Czech Inn. From the moment you set foot inside the Czech Inn Hostel you’ll appreciate its beautiful and unique decor. The bright splashes of color against muted tones, the perfectly balanced mixed of modern and vintage furniture, and the odd baubles throughout the building, go a long way to making this one of the most visually attractive hostels we have ever visited. 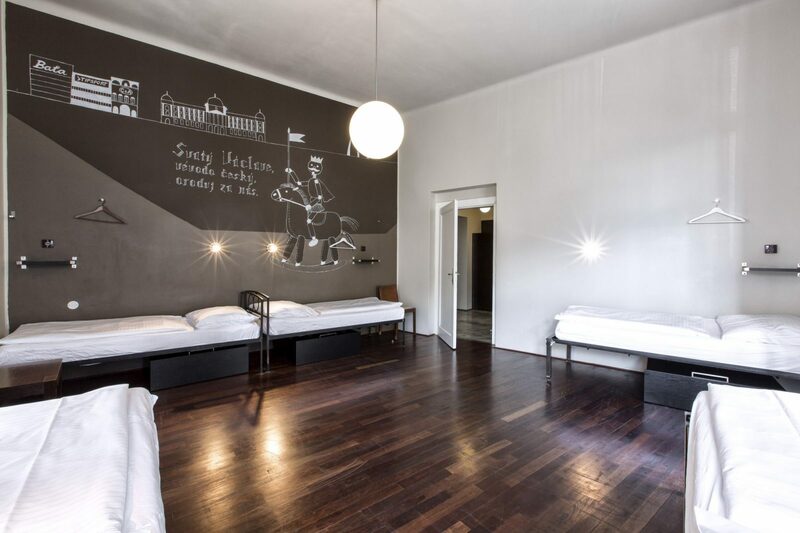 This Prague hostel isn’t “all style and no substance” though. You’ll have your choice of room options including dorms (mixed and female only), private rooms, and even apartments. There are also plenty of entertainment and socializing options for guests like movie nights, quiz nights, and sports screenings in the onsite bar. Aside from all of that awesomeness what made us decide to add Czech Inn to our list of top hostels in Prague is that it’s a good choice for anyone who wants to travel responsibly. This awesome Prague hostel promotes local businesses, shops, and products. They sell local micro-brewed Czech beer, custom postcards and notebooks, and locally written Prague guide books. Their custom maps also let guests know what businesses to visit in the area that are locally owned. Additionally, the hostel is located outside of the center of Prague in a trendy neighborhood that most visitors don’t get to see, which makes it a great base for exploring Prague a bit off the beaten path.. 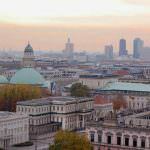 They also promote alternative tours outside of the overcrowded city center. pretty sweet, and certainly makes Czech Inn one of the very best hostels in Prague. For more information, independent reviews, or the best prices at Czech Inn Hostel in Prague click here. Out of all the Prague hostels we visited Sir Toby’s had the most unique and visually appealing aesthetic. 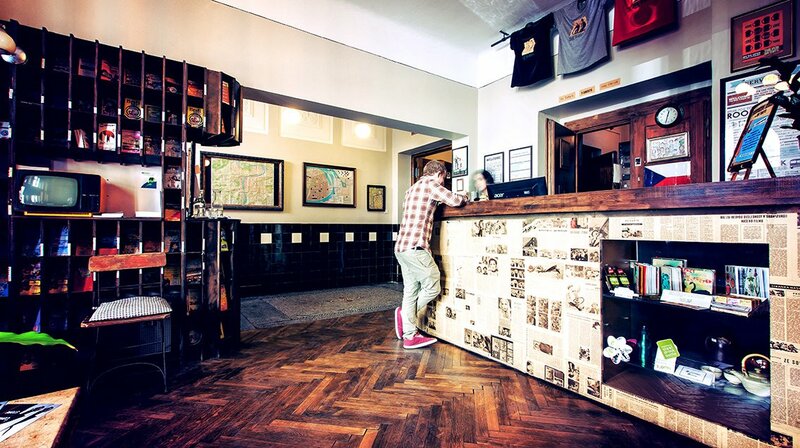 Art Nouveau meets antique dark wood in this Prague hostel, and Toby’s oozes atmosphere. It’s clear that this Prague hostel was designed with care and thought by someone with an eye for feng shui. Instead of using numbers each room has a unique name suited to its individual theme. Upper levels are home to a bunch of really cool private rooms, while the dorms are a mix of modern and Old World and have comfortable beds and plenty of locker space. Toby’s wants its guests to mingle and interact, encouraging communal breakfasts in its large dining area, hosting FREE BBQs once a week (yes free, no catch) in the backyard, and an on-site Pub where guests can gather over a cold beverage and get to know their fellow traveler. The staff at this exceptional Prague hostel operates with a “guest first” mentality, and does its best to address any problems, complaints, and answer any questions you might have. Toby is located in the hip up and coming neighborhood of Holesovice (which it is maybe 10 -15 minutes by tram from the center) and its design, philosophy, and hospitality all make it one of the best hostels in Prague. For more information, independent reviews, or the best prices at Sir Toby’s click here. What Sets it Apart: Great female only dorms, family style breakfast. Sophie’s Hostel is an ideal choice for the solo female backpacker looking for a Prague hostel. It has multiple female-only dorms which house five female travelers in twin sized beds (no bunks!). Each female dorm also has its own modern kitchen, a concept which we have never seen before but immediately loved. The dorms almost feel like mini apartments. Sophie’s also takes pride in their breakfasts, and their cook whips up hot breakfast plates with such care you might swear Mom was cooking. A nice little garden out back of building 1 (Sophie’s is actually two large buildings, both designed by the same architect) adds to the communal vibe that starts at breakfast and ends after a late night pub crawl with your new hostel made friends. For more information, independent reviews, or the best prices at Sophie’s Hostel click here. Communal Kitchen: No, but their sister hostel across the street offers one. Mosaic House is the largest Prague hostel we visited during our time in this city , and the one that contained the widest assortment of booking and activity options. It’s a Super Hostel in every sense of the word. 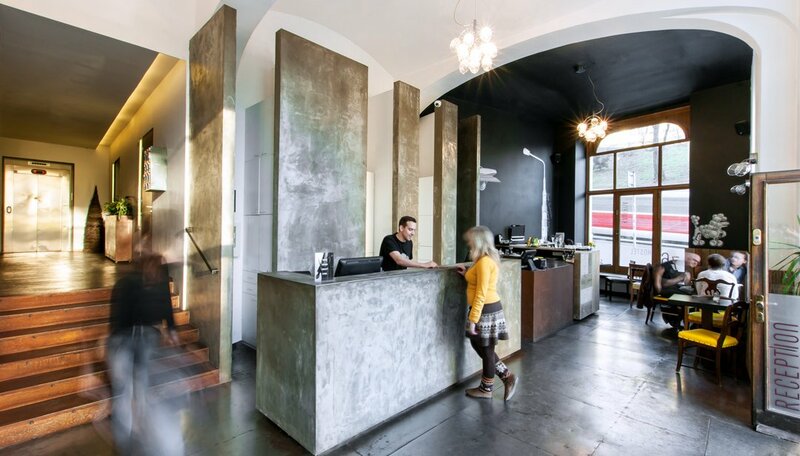 New, modern, and sleek this Prague hostel lives up to its name in terms of the variety offered. You can get a bunk bed in a slew of differently sized dorms, or chose from an assortment of forty one private rooms. Looking for something even swankier? Well, you can rent out a penthouse suite, with a garden, and awesome views of the city. 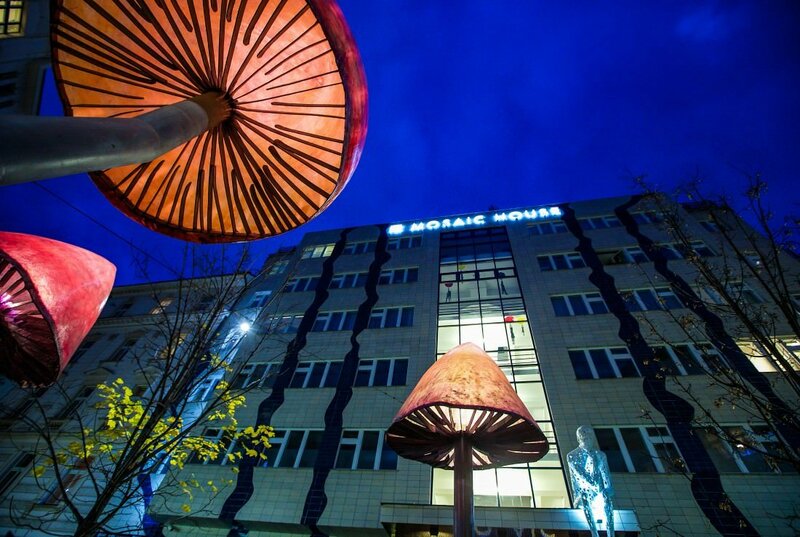 Mosaic House has the honor of being Prague’s first fully self sustaining Green building. It claims to be the first building with a water recycling system in the Czech Republic, the first hostel in C.R. to utilize 100% renewable energy, and the first hostel to achieve BREEAM In-Use “Excellent” certification. While many other hostels say they are “green” Mosaic House actually achieves this status on all levels. This makes Mosaic House a great choice for eco consciousness travelers. Not enough? Well, throw in a great bar/restaurant, a comfy lounge with leather couches, communal computers, a foosball table, and a decently priced yet lavish breakfast buffet for the hungry traveler. With so much going for it Mosaic House is certainly one of the best hostels in Prague, and is an excellent choice for anyone looking for a clean and modern Prague hostel with tons of options. For more information, independent reviews, or the best prices at Mosaic House click here. The MadHouse Hostel has fully embraced the label of “Best Party Hostel in Prague” but throws a familial twist into the old party hostel formula. With a maximum capacity of 38 beds is certainly not the largest out of all the Prague hostels, but Mad House does the party scene on an intimate scale. Most hostels in Prague out-source Pub Crawls to the many companies that organize them for tourists and you can find yourself in a group of a hundred random people. 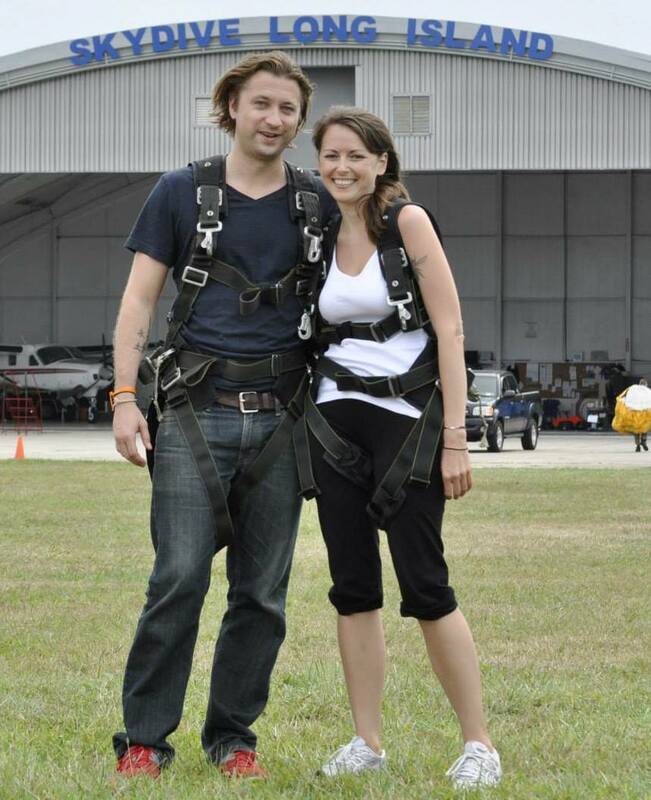 Mad House prefers to organize its own outings, with staff leading the way for any guests interested in joining. Communal dinners in the large kitchen are cooked up by staff for a cost that barely covers the price of ingredients, beer is readily available for $1.00 USD from a fully stocked beer fridge, and a comfy movie lounge offers tons of movies to watch and board games for guests to play together. This Prague party hostel only offers dorms, but breaks up each dorm into separate self contained sections. Some of the dorms even have nifty loft spaces, and all offer plenty of sunshine. Each is designed with custom spray painted art work that fits a theme. Very cool. If you are looking for a party hostel with an intimate close knit feel, or just looking for the best party hostel in Prague, you should definitely check this place out. You are bound to make some new friends and sleep off a few hangovers in the process. For more information, independent reviews, or the best prices at the MadHouse Hostel in Prague click here. Hostel DownTown is conveniently located in, you guessed it, “downtown” Prague. It offers a wide variety of private and dorm style rooms spread out over six floors. The front desk staff is extremely friendly and will help you with anything you might need while you are staying in The City of a Hundred Spires from transportation, activities, and advice on what to do and see while in Prague. The communal kitchen is huge (and clean!) containing several stoves, plenty of counter and refrigerator space, and a very well organized bin system to store all of your groceries. This Prague hostel is a well-kempt and comfortable establishment hosting a younger, yet relaxed, crowd. A great place for the budget conscious traveler that wants to chill, stay somewhere clean, and have a good time without having the “party” scene shoved in their face. All that makes Hostel DownTown one of the best hostels in Prague. 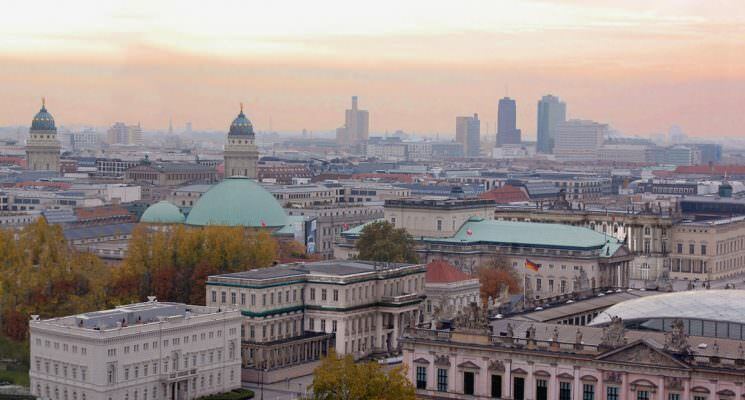 For more information, independent reviews, or the best prices at Hostel DownTown click here. Located in the affordable and trendy Zizkov neighborhood, Hostel One is a great place to stay in Prague for travelers on a budget. This lively area is brimming with bars, clubs, cafes and restaurants, and the Old Town is just a short tram ride or 15 minute walk away. 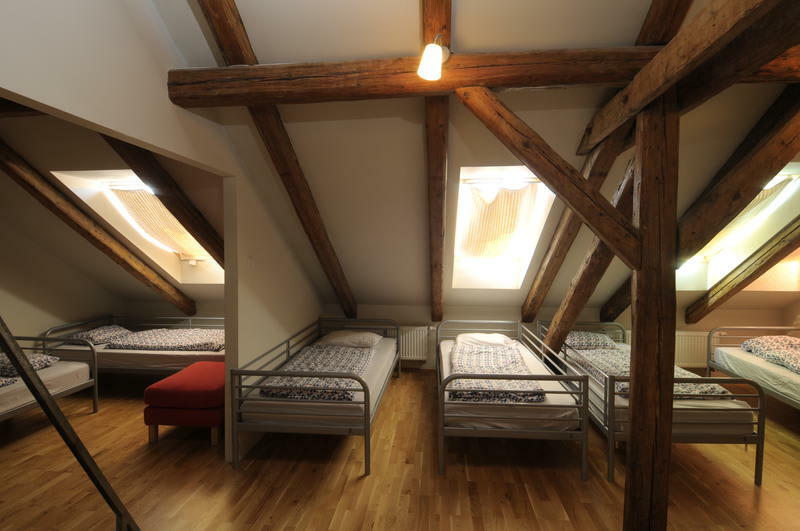 This Prague hostels offers dorm rooms for up to 10 people, as well as private rooms and female only dorms. Rooms are modern, spacious and most importantly – clean! Each guest is provided with their own locker to ensure your valuables remain exactly that – yours! Linen is free of charge, and each bed has a charging point to keep your devices juiced up. Each room in this Prague hostel has a private bathroom facility, so you don’t have to worry about queuing for the shower in the morning. Guests can also make use of the fully equipped kitchen, so you can save your pennies by cooking your own meals. There’s a lounge area where you can relax and watch a movie or play video games, or just sink into the cosy sofas with a good book. One of the best things about this Prague hostel is the fantastic atmosphere. Staff here are super friendly, and always willing to share their in depth knowledge of the city – the best places to see, restaurants to eat in and clubs to party in. The on site bar “The Rave Cave” is a great place to meet other backpackers and swap stories over cheap drinks before joining the group for a pub/club crawl in the evening. If you want some fresh air there are plenty of outdoor spaces to relax in, including balconies, patios and a beautiful garden which is great in the summer months. Hostel One is the best hostel in Prague for travelers who want to experience a unique and lively area of the city with great people, without blowing their budget! For more information, independent reviews, or the best prices at Hostel One Prague click here. Opened almost 20 years ago as one of Prague’s first hostels, Hostel ELF continues to maintain its fantastic reputation as one of the best hostels in Prague. Situated just 5 minutes from the city’s main train station, in the vibrant Zizkov neighborhood, Hostel ELF is in a prime spot for exploring the city on foot or with public transport. Dorm rooms can sleep up to 10 people, and each one is spacious and decorated with weird and wonderful modern art. Each guest has their own locker and charging facility. A delicious free buffet breakfast is included in the cost of your stay, as well as unlimited tea and coffee! There are plenty of common spaces to enjoy and socialize with other travelers, such as an outdoor terrace are covered with strange and captivating graffiti artworks. 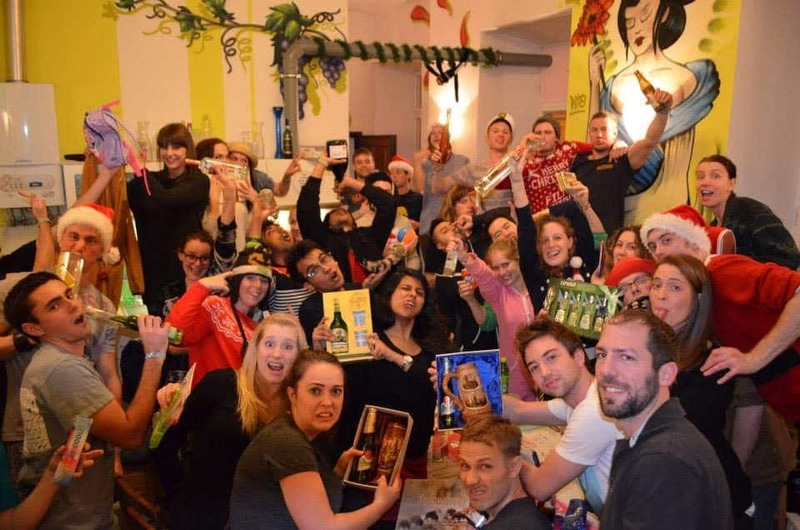 This Prague hostel hosts weekly events all year round, and in the peak season there’s something to join in with every night! Three nights a week the staff host a free Czech style barbecue, where you can try some delicious meats and chat with fellow guests before heading out to experience Zizkov’s lively nightlife scene. Staff are super knowledgeable about Zizkov and the city in general, so don’t hesitate to hit them with any questions you might have. Hostel Elf is a great place to stay in Prague if you enjoy places with an alternative vibe, a social atmosphere, and if you want to stay in one of the top nightlife areas in Prague. Without a doubt one of the more unique and affordable Prague hostels. For more information, independent reviews, or the best prices at Hostel Elf in Prague click here. Hostel One Miru is a new addition to the hostel scene, and has quickly secured its reputation as one of the best hostels in Prague. Located in Náměstí Míru (in the gorgeous and posh Vinohrady neighborhood of the city), it’s a lively area just a 15 minute walk from the centre of the Old Town. There are plenty of bars, restaurants, cafes and supermarkets nearby – so you don’t have to stray too far from home! This Prague hostel near Namesti Miru is a small and cosy place, but offers both dorms and private rooms. Rooms are spacious and modern, and provide you with everything you might expect from a great hostel. Each guest has their own locker and charging point, linen is included and all rooms are air-conditioned. Guests can make use of the modern and spacious kitchen, or spend time relaxing in the TV lounge. Every night the staff prepare a family style dinner for the guests, where you can meet the locals and fellow travelers before heading out to sample Prague’s incredible nightlife. The staff know all the best places to go, so stick with them! All-you-can-eat breakfast is offered for a small price every morning, with no time limits! Don’t be shy to ask the staff for advice and recommendations about the city, they’re the experts after all! The hostel also schedules daily events and outings, so be sure to inquire about those. If you’re seeking a fun and social hostel, where the staff really want their guests to have the best time in their city, then Hostel One Miru is one of the better Prague hostels to pick from. For more information, independent reviews, or the best prices at Hostel One Miru in Prague click here. 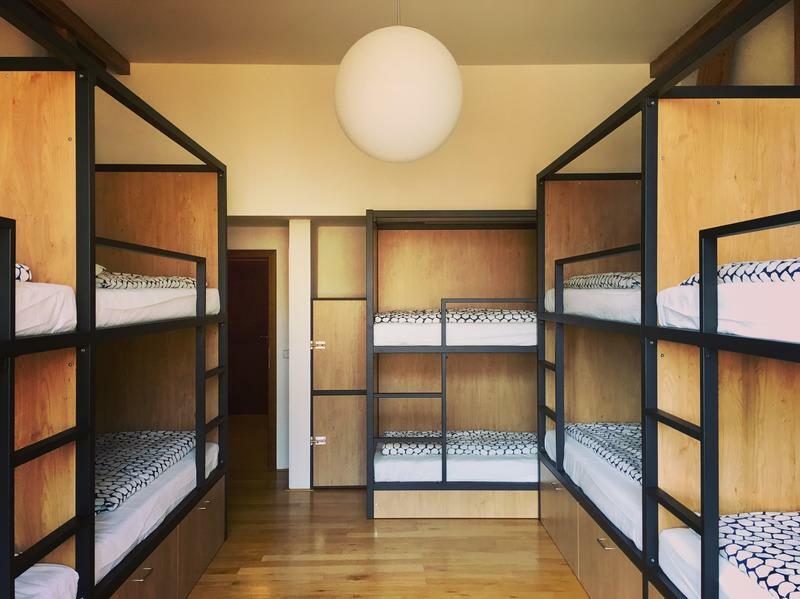 One of the newest Prague hostels, Brix is a hostel built by people who love hostels. Located in the trendy and historical Zizkov neighborhood, Brix hostel isn’t right in the city center, but is extremely easy to reach from the main bus station, or by tram. If you’re not adverse to walking a bit, then the centre is only 25 minutes on foot. Zizkov is a great place to stay, in our opinion, as you get to experience local life in Prague while still having very easy access to all the touristy spots you can visit. There are numerous (too many to count) bars, restaurants, and shops within a 5 minute walk from Brix’s front door, assuring you will never go bored or hungry. Some of them even offer discounts if you’re guests of the hostel. Featuring a gorgeous bar and multiple indoor and outdoor hang out areas Brix definitely tries to provide its guests with a warm and fun environment for socializing, should they choose to do so. This Prague hostel offers various activities for guests to participate in as well, including a custom pub crawl, art exhibitions, live music in the bar, communal holiday meals and various city tours. We highly recommend the educational-but-hilarious Žižkov tour lead by Neil. He’ll tell you all about the fascinating neighbourhood and it’s communist history. You’ll visit the lesser known places in Prague, learn about some questionable architecture, and discover some of the best sweeping views of the city. Don’t worry about getting tired, one of the best parts of this tour is that Neil makes a point to take breaks at local beer gardens and try some delicious local Czech cuisine. It’s a great way to meet and get to know fellow guests of the hostel, and learn about Prague from a different perspective. Dorm rooms at Brix range from 6 to 18 beds, and there are 4 private rooms available for rent. The hostel has recently made one of the dorms female only. The price of a bed in off season starts at a paltry 8 Euro, leaving you with tons of money left over for activities (and beer!). Beds are spacious and comfortable, with big pillows waiting for you to sink your weary heads into. The dorm rooms are constantly kept immaculately clean and tidy by the staff. The communal bathroom areas are impeccably clean and modern, with a consistent supply of hot water. If hygiene is something you take seriously (which we hope it is), then this hostel is a great choice for you. The hostel has two kitchens and a laundry room, and offers free coffee and tea all day long which is constantly being topped up by the attentive staff. A simple buffet breakfast is available for just €3, offering a range of cereals, toast, spreads and juices. Brix offers happy hours for guests, where you can load up on pints of Czech beer for just €1! What truly makes Brix stand out amongst hostels is the incredibly friendly and welcoming staff. When you arrive to Brix you’ll feel like you’re among friends already. Staff are willing to answer any queries you might have, and they’re always happy to offer maps and local tips or guidance. The staff here really encourage socializing, and get groups together for various outings during the evening. There’s always a social atmosphere in the bar area and common rooms, where you can choose to chill out and watch a film, or play board games over a drink or two. The outdoor patio has a ping-pong table and a big space to sit and enjoy the sun when it shows itself. Hospitality is obviously has a huge affect on your experience in a hostel. No matter what time of day it is the smiling faces of the staff at Brix will make you feel comfortable, included and well looked after. 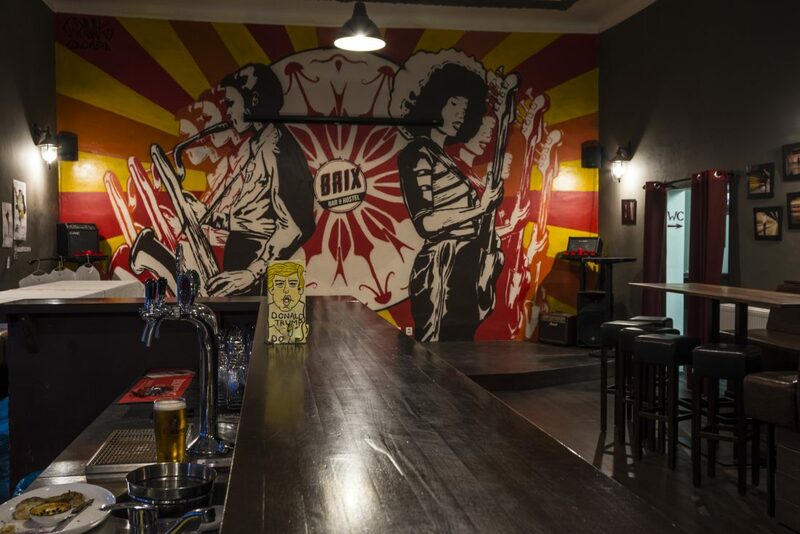 A vibrant social setting, great location outside of the center, and amazing free tours all combine to make Brix one of the best hostels in Prague. For more information, independent reviews, or the best prices at Brix Hostel in Prague click here. What Sets it Apart: Extremely affordable party hostel with great alternative location to the center. One of the original hostels in the city, on the backpackers’ map since 1995. If you are looking for a great party hostel in Prague, the Clown and Bard is another choice to look closely at. 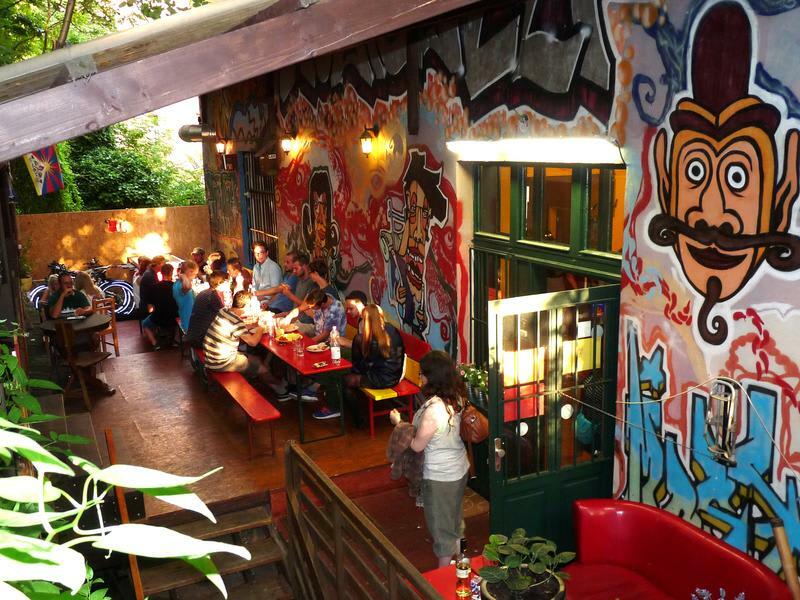 Located in the Zizkov neighborhood of Prague 3 (where we choose to spend most of our time) the Clown and Bard is surrounded by bars, cafes, restaurants and beer gardens. Hop on the Number 9 tram and find yourself in Prague’s center in just a few minutes. This Prague hostel is also a few minute walk from one of our favorite spots in the entire city, Riegrovy sady, which is home to great sunset views and two beer awesome gardens in which we have spent many a spring/summer evening. The hostel itself is sort of basic but if you are looking for a Prague hostel to party in this shouldn’t concern you very much. Dorm beds in large dorm rooms (14 beds +) are very affordable, even during weekends on high season. Which leaves you with tons of spare Czech Koruna to spend on beer in the cozy onsite bar as you get to know other travelers over pre-game drinks. So, lets summarize. You are looking to party in Prague. You want to meet other people to party with. Ergo, you need to find a great party hostel in Prague. Looks like your job here is done. Click below to book one of the best party hostels in Prague. 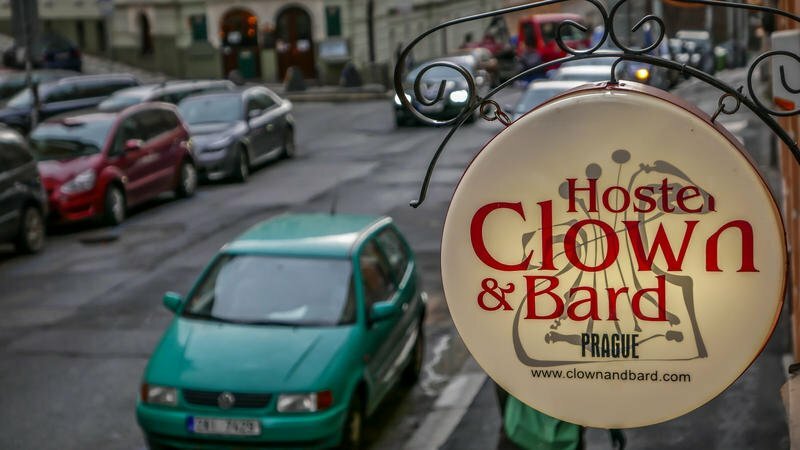 For more information, independent reviews, or the best prices at the Clown and Bard Hostel in Prague click here. There you have it guys, our list of the best hostels in Prague. Out of all the many places to stay in Prague we reckon these hostles provide the absolute best value for your travel budget. As always, travel well, and we’ll see you on the road! Wonderful! As a solo female traveler you will love Ms. Sophie’s. If you remember to please let us know how your stay went, and what you thought about Prague. No PLUS Prague huh? Got pretty good reviews on Hostelworld. Hopefully it’s everything I read and more. How could it not, it has a pool! HI Edgar, we haven’t been to PLUS yet. Let us know what you think after your stay!